As the title says, I'm back with a bump! If you don't follow me on Instagram you may not know that I'm pregnant!! My last post was back last year and I never intended to take such a long break. I think I was about 6 weeks pregnant in my last post, but since then I struggled with working full time and squeezing in blogging on weekends in the freezing cold when all I wanted to do was sleep. I'm now 36 weeks pregnant and have finally finished work which I'm so excited about, we have so much to do to prepare before she comes, yes I'm having a baby girl, a little mini me, I'm so excited! I'm planning on shooting as much as I can in the last few weeks of my pregnancy, I would love to have a few pregnancy post before I give birth. My pregnancy has been great, I can't complain at all, I have the most chilled baby, I hope that continues when she's here. I never had any morning sickness, cravings, no waking up at night to pee, basically the typical symptoms you think your definitely going to get because of what people tell you or what you read I didn't get. I did have crazy tiredness in my first trimester, I would get home from work around 7pm and sleep for 12 hours, as soon as I arrived to work the next morning I would already be exhausted and ready to sleep again at 9am, it was over kill. 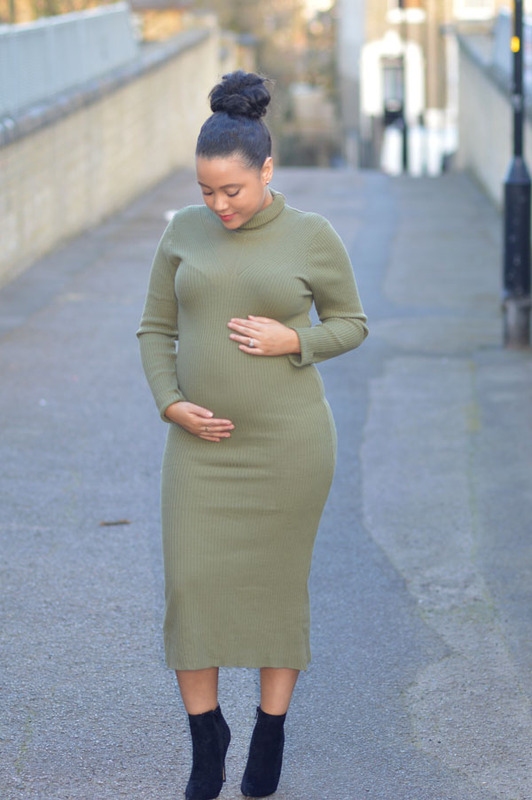 In my second trimester I experienced insomnia which was really hard, I would sleep maybe 1 to 3 hours a night if lucky and would be exhausted for days, so whether I was getting too much sleep or not enough sleep I was always exhausted! I also experienced back pain throughout the whole pregnancy, but this is to be expected when you have a growing baby and your body is constantly adjusting. I read so much about the second trimester being the best, but for me the third trimester has been better, although now I'm heavier it makes it harder to sleep and I'm always out of breath. These pictures were actually taken back in February when I was about 5 months pregnant, I remember feeling so huge and chubby lol It's quite funny to look back now! I had planned to start posting again back then but I was so tired after the shoot I decided I wouldn't be able to keep it up. Thanks for sticking by the blog, I'm really excited to be back and have lots in store for the blog too. Yay! Congratulations Regina! It's so good to see you blogging again. I can imagine how exhausted you must have felt. I'm glad that your pregnancy has been great. Ah she'll be here very soon. Can't wait to see pictures of your princess!